As a privately owned company, we promise to offer the highest quality stone veneer products, impeccable service and work with the utmost integrity as we have over the past twenty years. Our experience has earned us an outstanding reputation: we have been awarded the Greater Toronto Home Builders/UDI Association, Member of the Year in 2006, and in December 2007, we were awarded The Manufacturer/Supplier of the Year by the Building Land Development. Architectural Accents Inc. provides a Quality Assurance Guarantee for StoneRox Products, on the strength, structural integrity, and durability and against any defects in the material and/or workmanship in the production. Our Quality Assurance Guarantee is a commitment to ensure the highest quality product possible. If StoneRox Product is installed according to specifications and becomes structurally defective, the product will be replaced. This guarantee does not include installation costs. 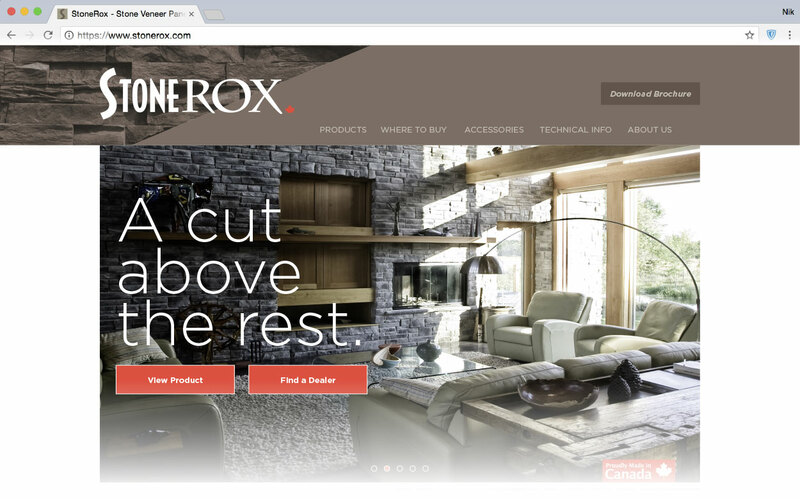 StoneRox Products will be guaranteed to the original owner and can be transferred to subsequent owners on written request for a period of 50 years from date of purchase. Valid proof of purchase will be required, bill of sale or delivery slip. Response by a StoneRox representative or agent to notice of claim will be maximum of 14 days. Excessive power cleaning techniques which may be detrimental to the face of the finished product - Damage deemed to be caused by an Act of God.